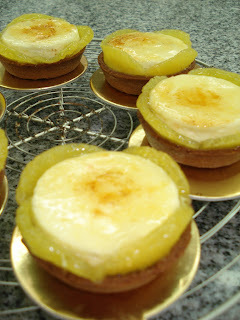 Among all the tarts we made this week, I liked this the most. Similar ingredients with sweet pastry dough, added with cocoa powder to have a chocolate tartshell. It was filled with creamy chocolate. On top we put frozen Orange chiboust. The surface was caramelized. Garnished with orange segments. Good to the last bite. 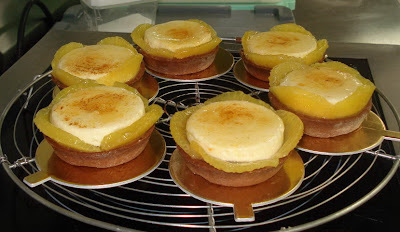 As you can see, this was the 3rd tart recipe we made in class. Same dough recipe but different filling. Here, we used almond cream as the base. 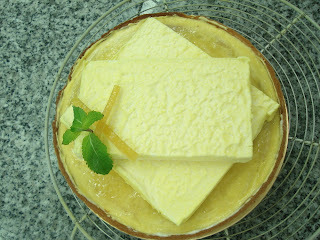 A layer of light lemon cream was spread on top. For the garnish we used frozen light lemon cream, candied orange strips and fresh mint. 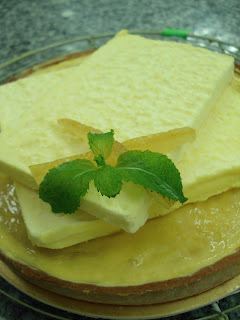 Don't forget to glaze the tart before placing the frozen lemon cream on top. I'm not good at spreading so the messy sides explain it. Tartlet shell made from sweet dough, filled with almond cream. 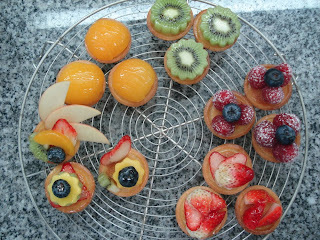 Baked at 160 degrees C for 12 minutes.Different kinds of fruit were used for decoration, cut into the shape of your choice. 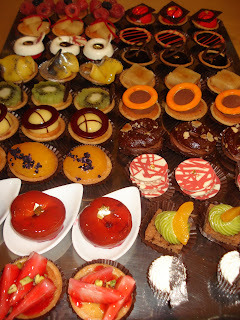 Sprinkle icing sugar on the raspberry and coat the other tarts with apricot glaze.Suitable for cocktail parties. Below you will see kiwi (green), apricot (yellow), strawberry, raspberry with blueberry on top, and mixed fruits. 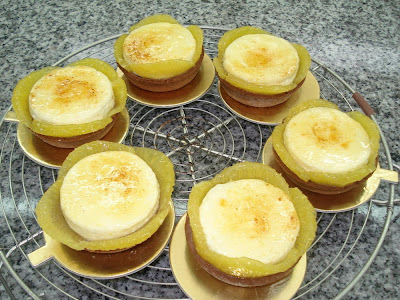 Tartlets with different filling and decoration. Not my creation but just to show how they are supposed to look like at a cocktail party. 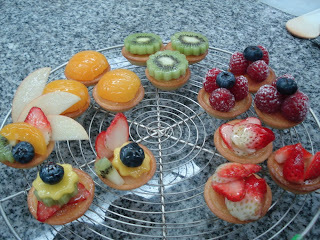 I have a long way to go before I can make tartlets this beautiful.